Guardiola has Man City in fantastic shape at the moment. "Ronaldo is just 5/6 to score but it’s now five Champions League matches where he’s failed to net, the last one (thanks, Opta) being that famous penalty for Real at home to… Juventus. Instead, we’re going to go with Paulo Dybala." It's no fun playing Manchester City at the moment. Their 6-1 demolition of Southampton at the weekend was an impressive display of everything that makes a team irresistible: quick pressing, neat passing, good movement, pace on the break and of course, lots of excellent finishing. Proof of the last one is the fact that 13 shots produced six goals. Sometimes as punters, our instinct is to try to find reasons to go against the grain. Try to argue that this time round it may be harder for this excellent Man City side to play like that again because of X, Y and Z. I'm not sure we should be doing that. When City beat Shakhtar 3-0 a couple of weeks ago, away from home, they had 24 shots on goal (Opta), the most Donetsk had faced in the Champions League in almost three years. In other words, on another night that could have been 6-0. So there are plenty of reasons to think that City can carry their momentum from Sunday into this game, overcome the -2 handicap and win this by three or more clear goals at 11/10. I'm not sure there's a stronger squad in world football at the moment. There are pretty much two world-class players for each position and whereas that means even the best ones can't play all the time, it does mean that when players come back into the side they're fresh and desperate to make an impression. One of those likely to come back after missing out on Sunday is Riyad Mahrez. 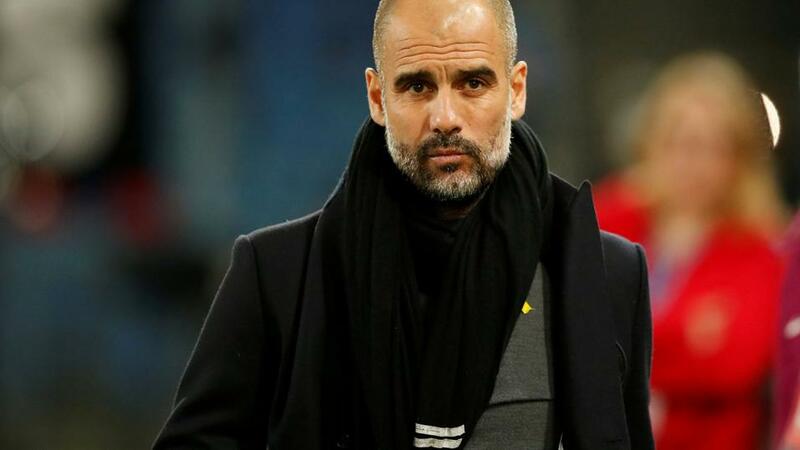 After a slightly slow start to life at Man City he's looking sharp and understanding how City like to play in attack and has two goals in his last three starts, including the all-important winner against Spurs last week. He's the best value of the City likely starters to get a goal at 5/6. The double comes to 3.53. Life is looking a lot rosier for Man Utd and Jose Mourinho just now. Though if you want to be a bit harsh, you could point out that in Newcastle, Everton and Bournemouth they haven't exactly beaten anyone they wouldn't have been expected to and that all those wins were by the skin of their teeth. The recent score that sticks out like a sore thumb is that 1-0 home defeat to Juventus. Mourinho won't necessarily be thinking about winning this match but he'll certainly be thinking about drawing it. But he knows that playing for 0-0 is fraught with danger so they'll need to score at least once. They've scored in 12 of their 15 matches this season and though two of the games they didn't score in were in the Champions League, they were in somewhat different circumstances. Juventus aren't quite the watertight defence they've been in yesteryear either with an inability to keep a clean sheet in their last three Serie A matches against Genoa, Empoli and Cagliari proof of that. There are no reasons to think Juve won't get one and the 9/10 on both teams scoring looks decent enough. Anthony Martial is extremely tempting at 4/1 to score anytime and complete the double at a big price but we're going to swerve him on the grounds that it's unlikely Utd can get more than one here. We're better off going with a Juve player seeing as the hosts could easily get two or three. But not the one you think. Ronaldo is just 5/6 to score but it's now five Champions League matches where he's failed to net, the last one (thanks, Opta) being that famous penalty for Real at home to...Juventus. Instead, we're going to go with Paulo Dybala. His six goals this season are just one less than Ronaldo, he scored at the weekend and was the hero of that 1-0 in at Old Trafford so there's plenty to like about his chances at a bigger 7/5. The double comes to 4.29.